GRID Alternatives Archives - Solar Love! Home Tags Posts tagged with "GRID Alternatives"
Spring break is coming! Spring break is coming! But instead of going to the beach, or the mountains, or wherever it is college students go these days to let off steam during spring break, about 200 of them are going to get some hands-on solar training while helping to install solar projects in low-income and under-served communities. The program, called Solar Spring Break, is lead by GRID Alternatives, which is the largest nonprofit solar installer in the US, and this year, participants will get another perk, aside from on-the-job solar training. For the 2017 Solar Spring Break, the Solar Energy Industries Association, in partnership with GRID Alternatives, will give the participants access to educational resources, mentorship opportunities, and solar industry job openings, which could help these students to make career connections for continuing their paths in renewable energy. Instead of spending their vacation week kicking back, the Solar Spring Break participants, nearly 200 of them coming from 15 schools across the US, will work to install no-cost solar arrays for low-income families at projects in California, Colorado, and Washington, D.C.. The program has grown from six teams (from six schools) in 2014, to 10 schools and 11 teams in 2016 (with a little more than 100 students participating), to its current size thanks in part to sponsorship from the Wells Fargo Foundation. The Solar Spring Break 2017 program, which runs from February 27th through April 1st, has participants from Arizona State University, Beloit College, California State University – East Bay (two teams), Duke University, Massachusetts Institute of Technology, Michigan State University, Mills College, North Carolina State University, North Carolina Central University (two teams), Santa Clara University, University of California – Berkeley, University of Massachusetts, University of Michigan, University of Nevada – Reno, and University of North Carolina. On June 30, Enphase and GRID Alternatives announced a major expansion of their long-standing partnership. The two companies will help install an estimated three megawatts of new capacity, save 900 families $25 million in energy costs over the systems’ lifetimes, and prevent 78,000 tons of greenhouse gas emissions. 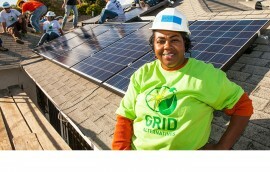 GRID Alternatives is the largest nonprofit solar installer in the US. Its core constituency is low income families living in subsidized housing. A major part of its mission is providing job training in the solar industry for the people it serves. “Enphase’s expanded donation in 2015 represents a nearly 50 percent increase in our partnership’s cumulative impact to date,” said Tim Sears, CFO and cofounder of GRID Alternatives. “This partnership has already helped bring the benefits of clean energy to families and workers across the country, and continues to grow with us as we expand to serve more communities and explore new ways to deliver solar’s benefits to people that need it most.” His remarks were made in a press release made public by Business Wire. Over the last 6 years, Enphase has partnered with GRID Alternatives to bring the benefits of solar power to underserved communities through in-kind microinverter system donations and employee volunteer installation hours. Since 2010, the partnership has helped install over 1,900 rooftop arrays with a cumulative capacity of nearly 6 megawatts across California, Colorado, New York, and New Jersey; saving $50 million in lifetime power costs and preventing 150,000 tons of greenhouse gas emissions. Enphase Energy delivers energy management technology for the solar industry that increases energy production, simplifies design and installation, improves system uptime and reliability, reduces fire safety risk and provides a platform for intelligent energy management. Its semiconductor-based microinverter system converts energy at the individual solar module level and brings a system-based high-technology approach to solar energy generation, storage, control, and management. GRID Alternatives has already installed 5,400 rooftop solar systems with a capacity of 18.5 megawatts. Its systems are responsible for saving customers $136 million in lifetime electricity costs, preventing 426,000 tons of greenhouse gas emissions, and providing over 21,000 people with the training needed to find jobs in the solar industry. It presently serves communities in California, Colorado, the Mid-Atlantic and New York tri-state regions, and Tribal communities nationwide. With the help of the Abell Foundation and in partnership with the City of Baltimore Office of Sustainability and Civic Works, GRID Alternatives has begun bringing solar power to 10 homes in the CARE Community. CARE stands for “caring active restoring efforts.” The CARE Community is focused on revitalization by attracting more residents and investors to the neighborhood. The GRID Alternatives program will help low-income residents climb the energy ladder by participating in the solar energy project. They will reap benefits through reduced electricity costs and by contributing to a cleaner environment. The Baltimore Office of Sustainability and the Baltimore Energy Challenge are providing cool roofs to the 10 homeowners through the Baltimore Energy Initiative. 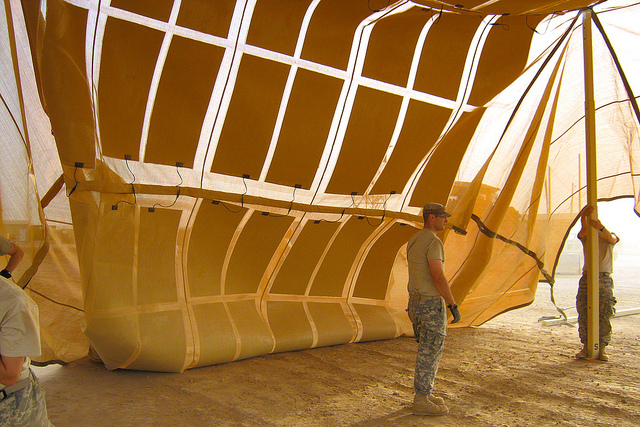 A cool roof is made of an elastomeric base coat combined with a reinforcing tensile fabric sealed with a white reflective coat. It reduces energy costs by 30% and can lead to even more savings if weatherization retrofits are included. The cool roof takes about three days to install and comes with up to a 10-year warranty. Additionally, the Door Center, which is owned by the Baltimore Urban Leadership Foundation, has been identified as a critical community facility and will receive a solar electric system with battery backup. The Door’s mission is to facilitate the transformation and holistic growth of youth, families and communities through collaborative partnerships, direct services, capacity-building, and resource development. 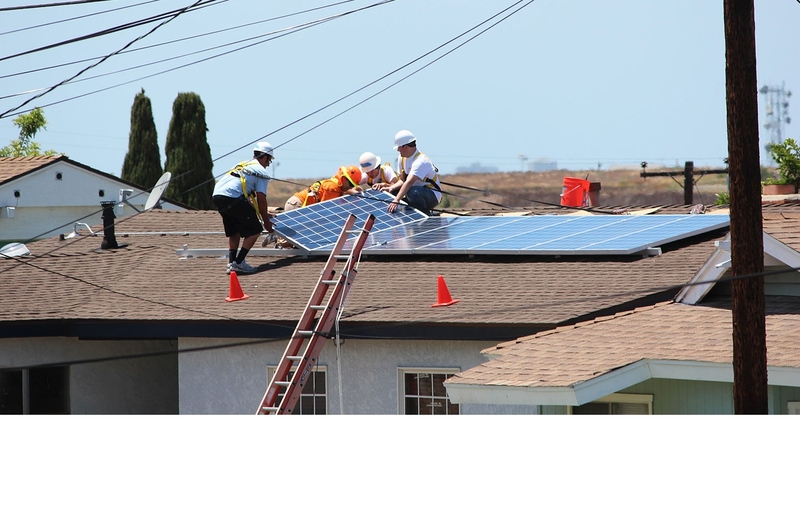 GRID Altenatives, the nation’s largest nonprofit installer of solar power products, is partnering with Clean Power Finance (CPF) to help more low-income homeowners save money on their electric bills with residential solar. The partnership will help GRID expand the reach of its Solar Affordable Housing Program to hundreds of additional families in California, Colorado, New Jersey, and New York. Clean Power Finance is a financial services and software provider for the US residential solar industry. 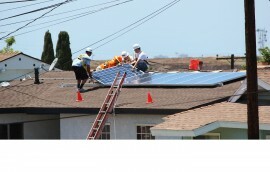 Its financing platform connects institutional investors with solar sales and installation companies in eleven states. Investors and lenders use its platform to invest in solar assets that provide reliable rates of return with managed risk. Founded in 2006, CPF has raised more than a billion dollars of project financing from third-party solar investors that include major corporations, electric power companies, and financial institutions. GRID decided to join CPF’s partner network after reviewing several other financing options. CPF brings a strong track record of underwriting financed residential solar systems and is recognized as a leader in creating new financing products to address the needs of specific market segments – especially those with limited financing options. It provides services to tribal communities in the US and to rural communities in Nicaragua. Solar power is growing by 20% a year but the industry faces a critical shortage of skilled workers to keep that expansion going. Now, SunEdison, the world’s largest renewable energy development company, and GRID Alternatives, the nation’s largest nonprofit solar installer, have teamed up to provide job training for individuals in underserved communities. The two-year initiative, called RISE, is designed to connect the industry’s growing demand for skilled workers with communities that need jobs and to build a more inclusive solar workforce. The partnership is modeled on the successful 2014 SunEdison and GRID Alternatives initiative to bring more women into the solar industry. SunEdison is contributing $5 million in cash and in-kind contributions to the RISE program. The RISE initiative will provide hands-on training and real-world solar installation experience to over 4,000 people across the country and connect job trainees with solar companies looking for skilled workers. SunEdison is a leader in transforming how energy is generated, distributed, and owned around the world. It manufactures solar technology and develops, finances, installs, owns, and operates wind and solar power plants. SunEdison is one of the largest renewable energy asset managers and provides asset management, operations, monitoring, and reporting services for its renewable energy customers around the world. GRID Alternatives is a nonprofit organization that makes renewable energy technology and job training accessible to low-income communities. 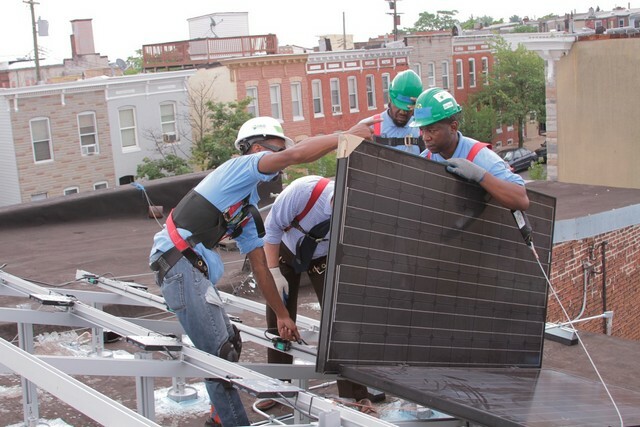 The organization brings together community partners, volunteers, and job trainees to implement solar power and energy efficiency for low-income families, providing energy cost savings, valuable hands-on experience, and a source of clean, local energy. To date, more than 5000 families have benefited from the organization’s work and saved more than $125 million in lifetime electricity costs. 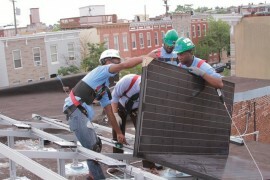 In addition, over 19,000 people have received solar panel installation training. GRID Alternatives has offices in California, Colorado, New York, the mid-Atlantic region, and Tribal communities nationwide. Its international program also provides off-grid solar to rural communities in Nicaragua.